Updated HMS Leopard by Captain K.
Captain K. had been updating his splendid vessel the HMS Leopard, for the better! A powerful looking ship is the result, still on the prefab ship hulls! You don't see much 60 gun ships on them. 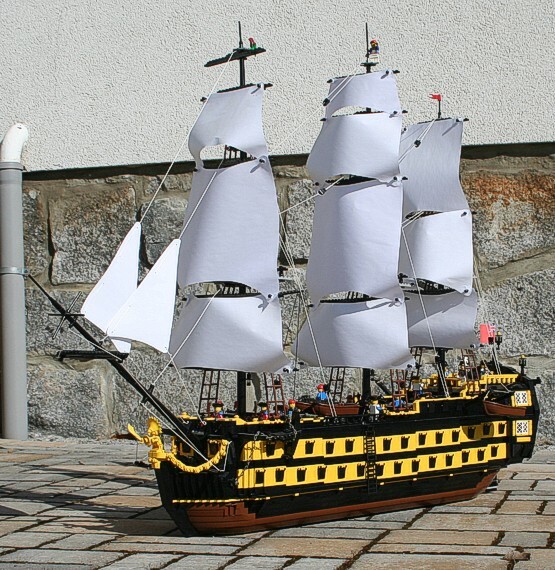 With a nice rigging this ship is surely worth to take a look at! Discuss the Updated HMS Leopard by Captain K. in the forum! Categories: Custom Sails, Ships. Both comments and pings are currently closed.